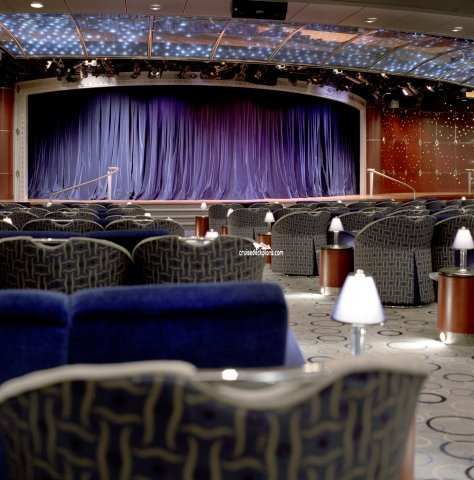 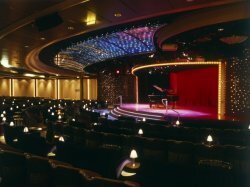 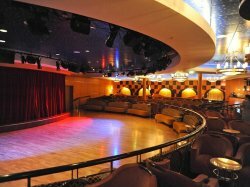 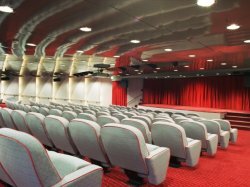 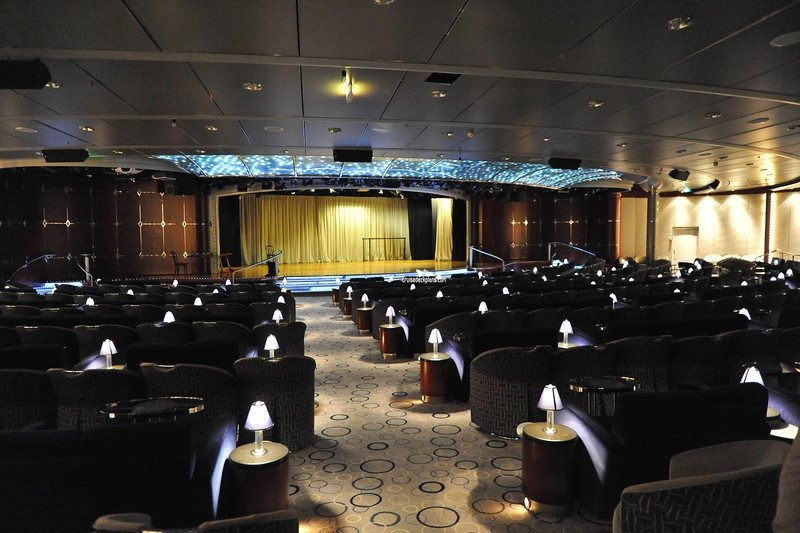 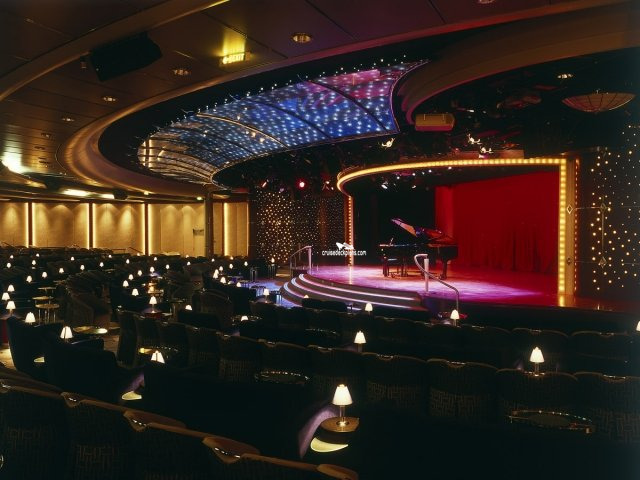 Main show lounge with hydraulic stage and full orchestra for music and dance shows. 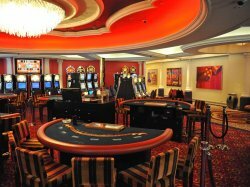 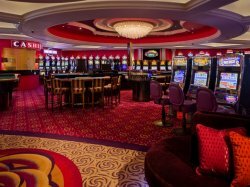 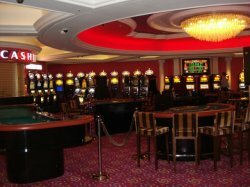 Casino for age 21 and older. 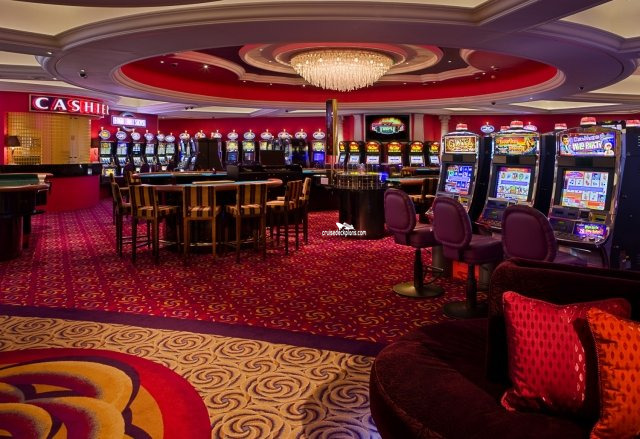 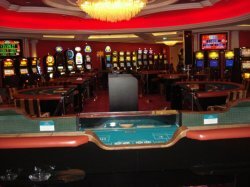 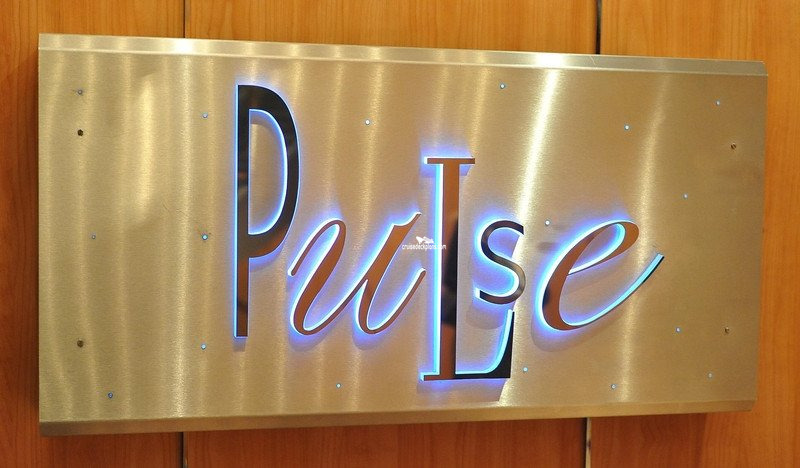 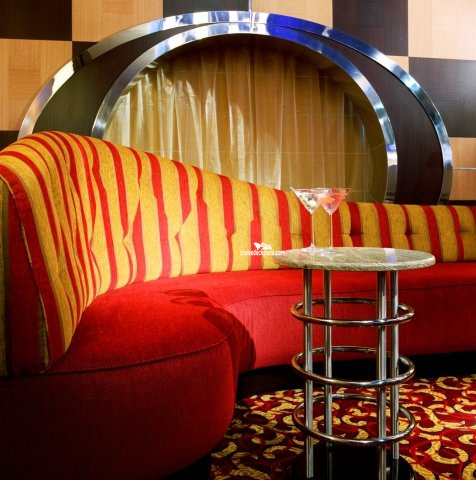 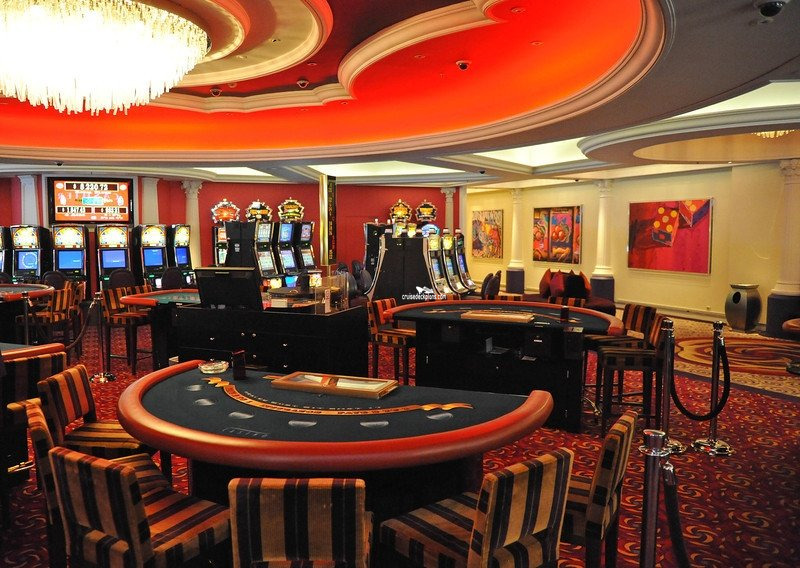 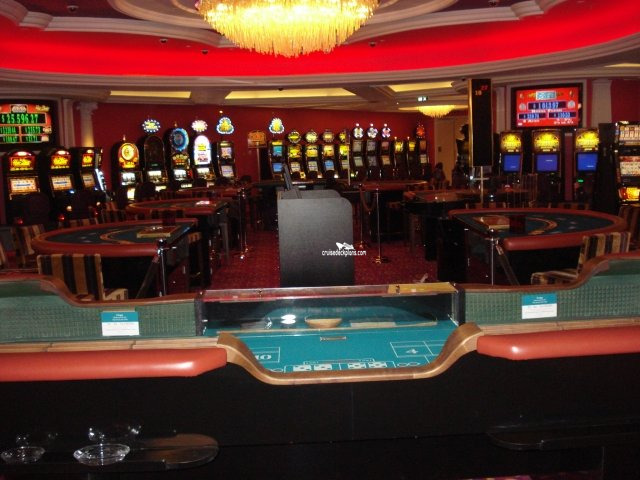 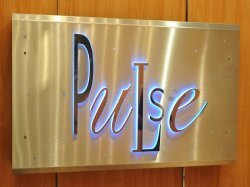 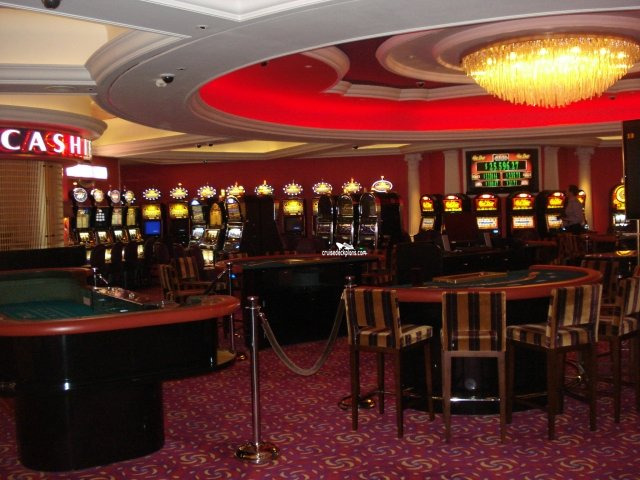 Covers 4400 square feet with numerious gaming tables and slot machines. 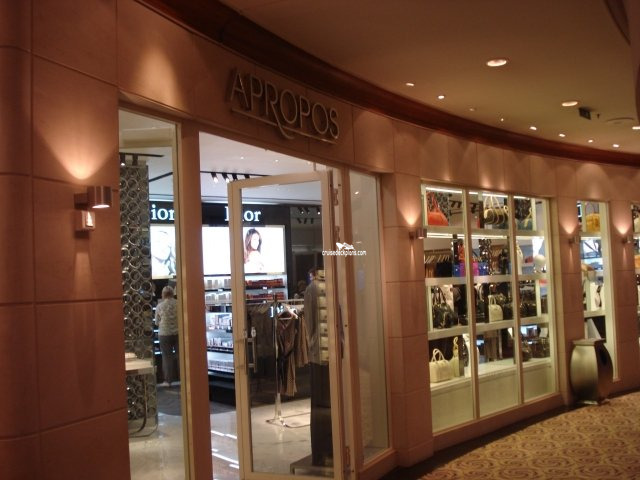 Shopping area of 3000 square feet. 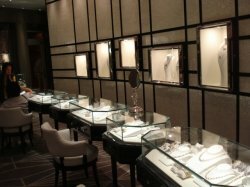 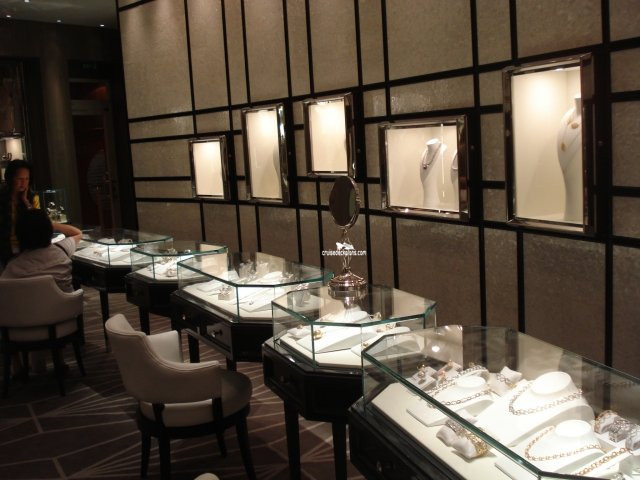 Duty-free boutique shops include Captains Choice, Facets, Crystal Collection and Apropos. 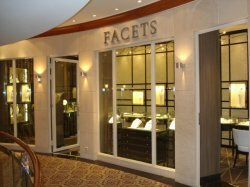 Shop selling luxury jewelry, watches and gifts. 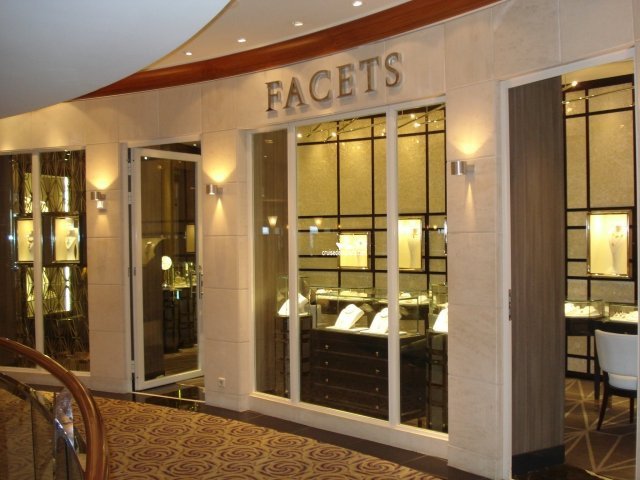 This is a boutique that sells perfumes, cosmetics, sunglasses and accessories. 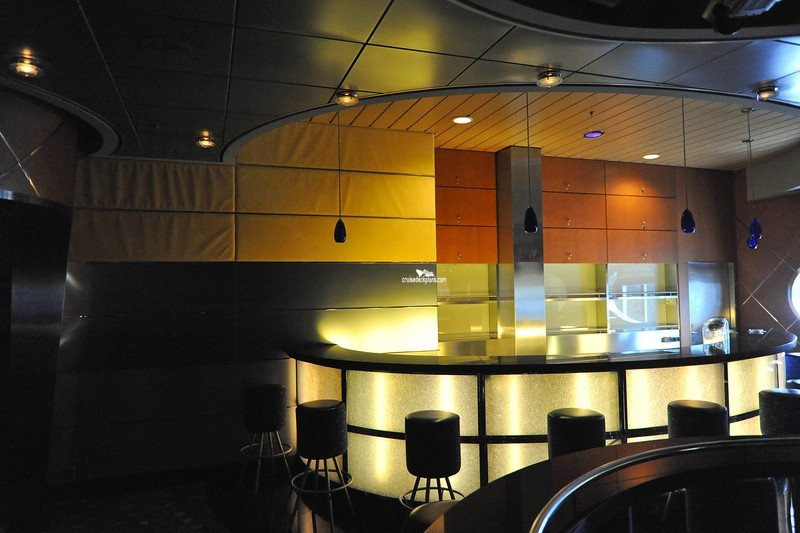 Pastry and specialty coffee bar on port side of ship. 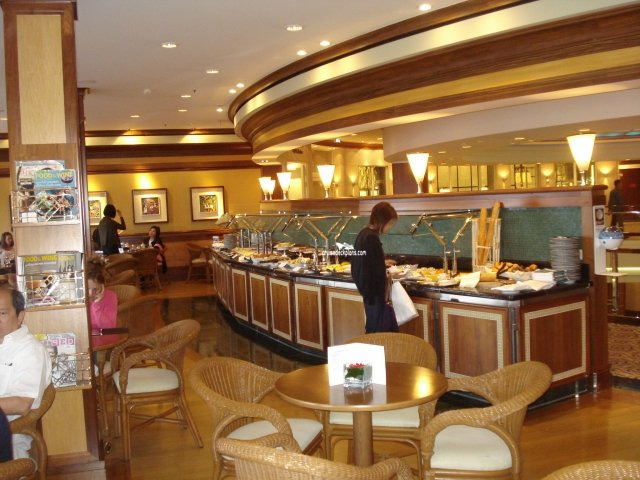 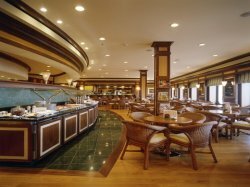 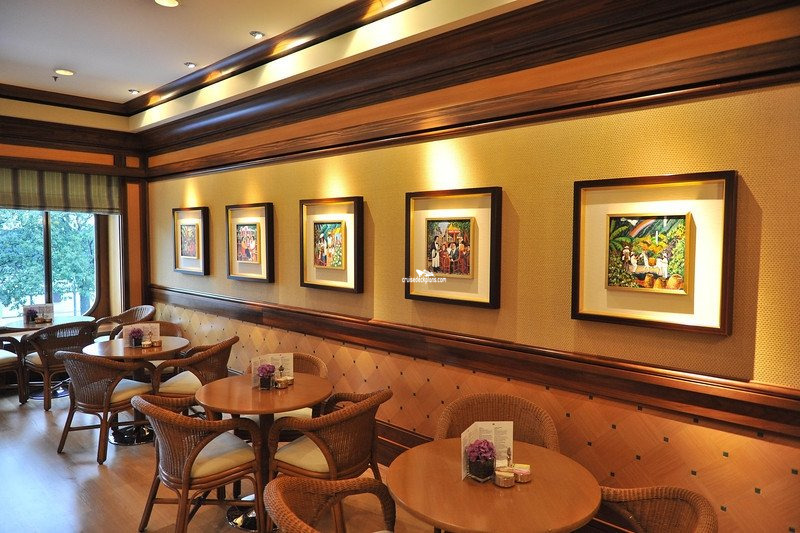 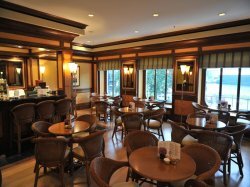 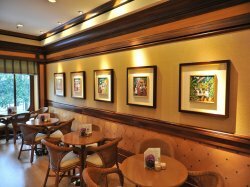 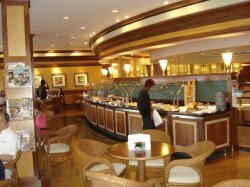 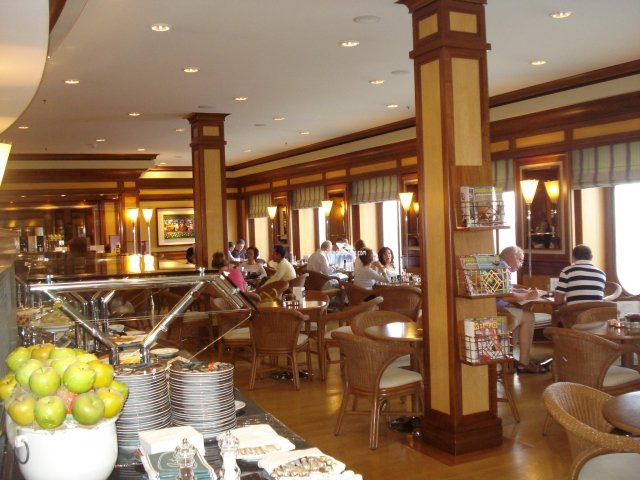 You will find fine cheeses, fresh pastries, deserts, exotic coffee and tea. 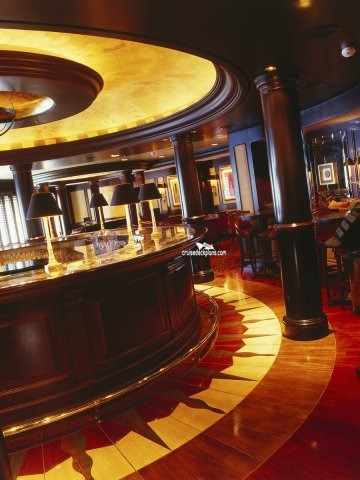 Champagne and fine wine is also available by the glass. Cinema with multi-linqual translation. 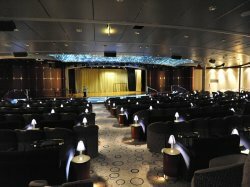 Used for conferences and lectures as well as religious services. 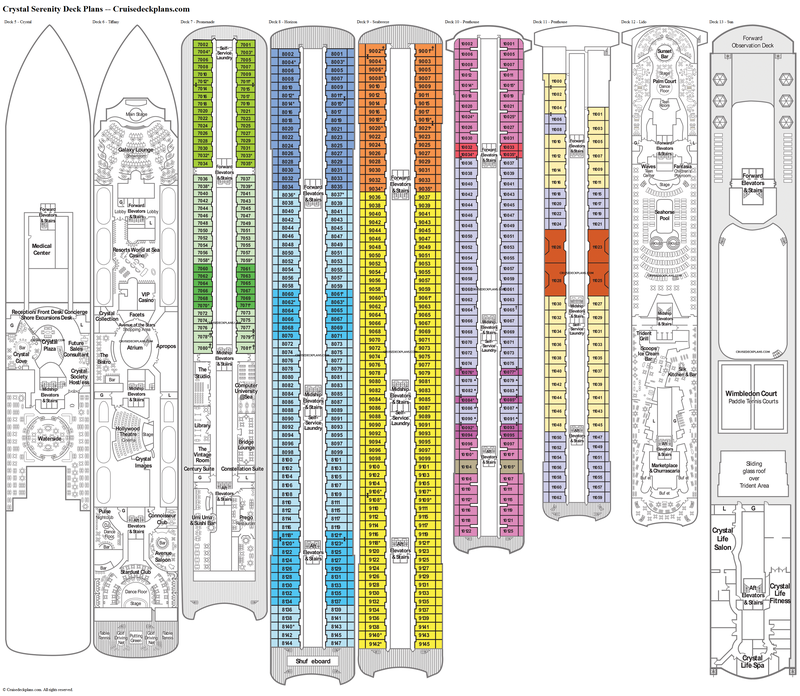 Photo gallery and shop displaying photos taken by ship photographers. 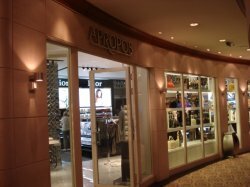 Also sells photo equipment and accessories. 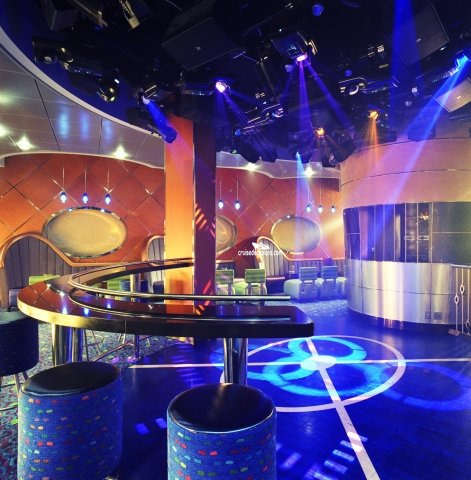 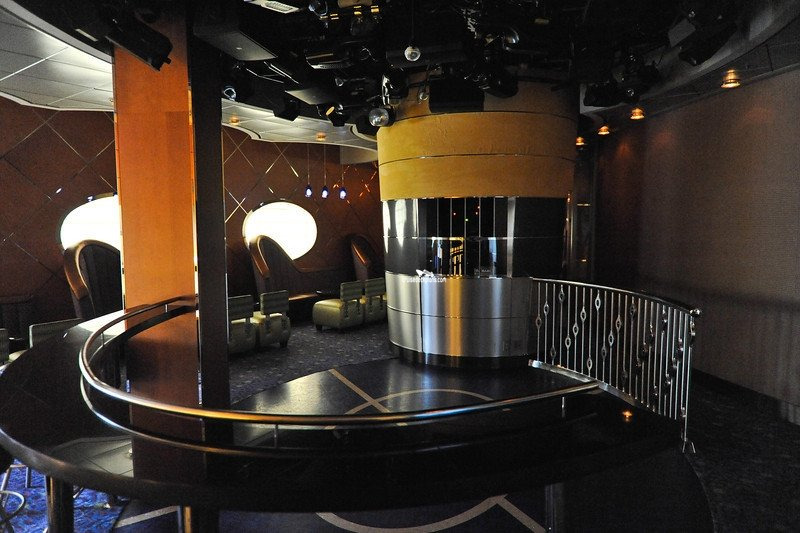 Disco and nightclub located on portside of ship. 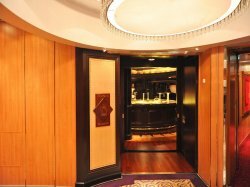 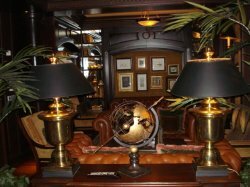 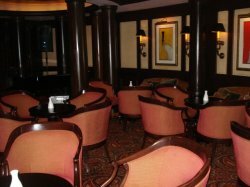 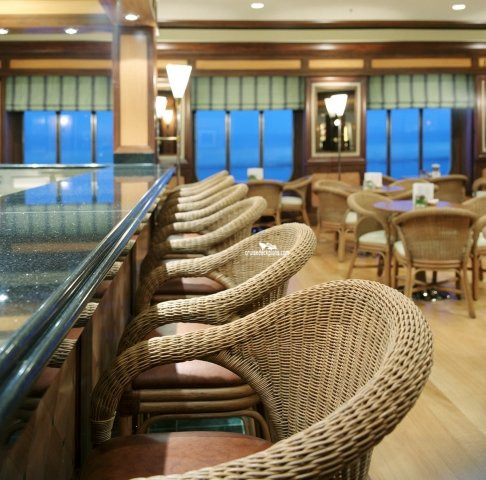 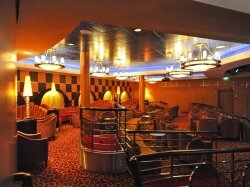 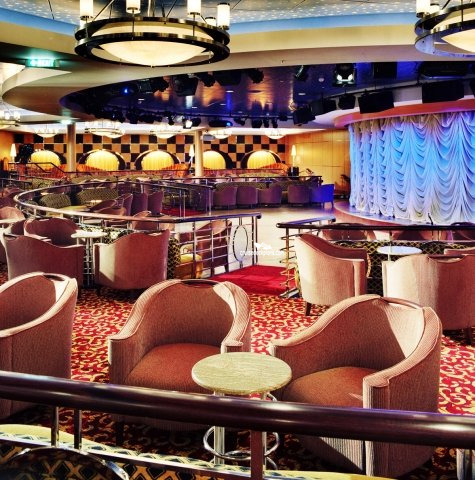 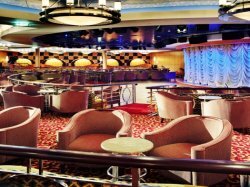 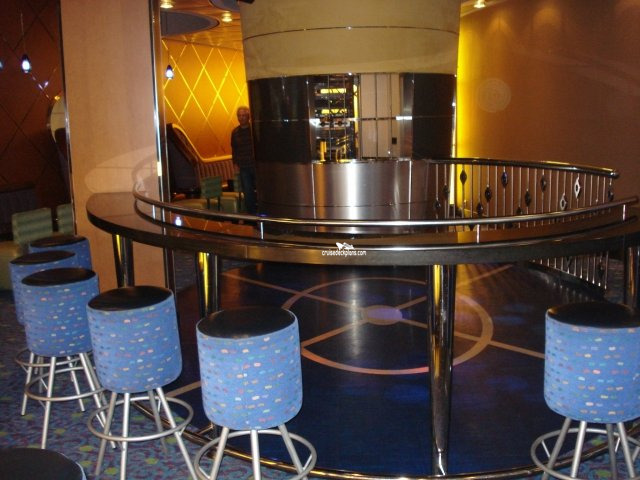 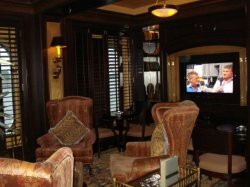 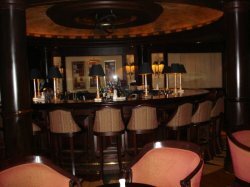 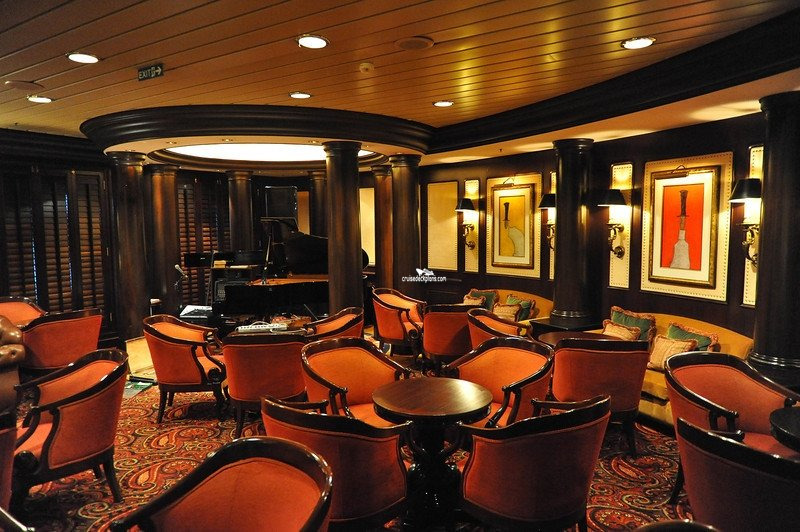 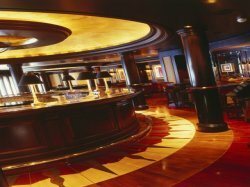 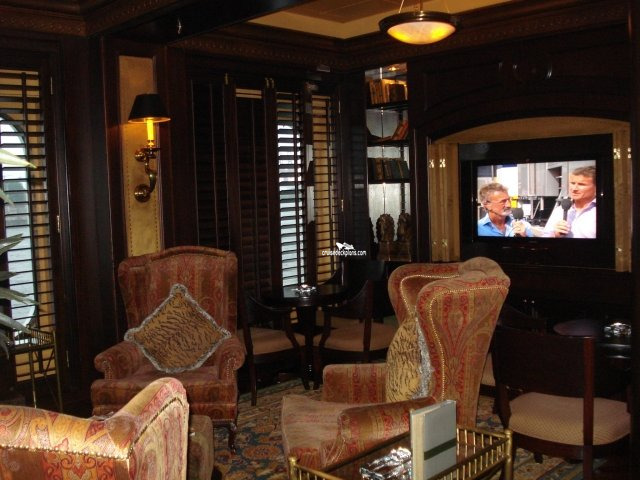 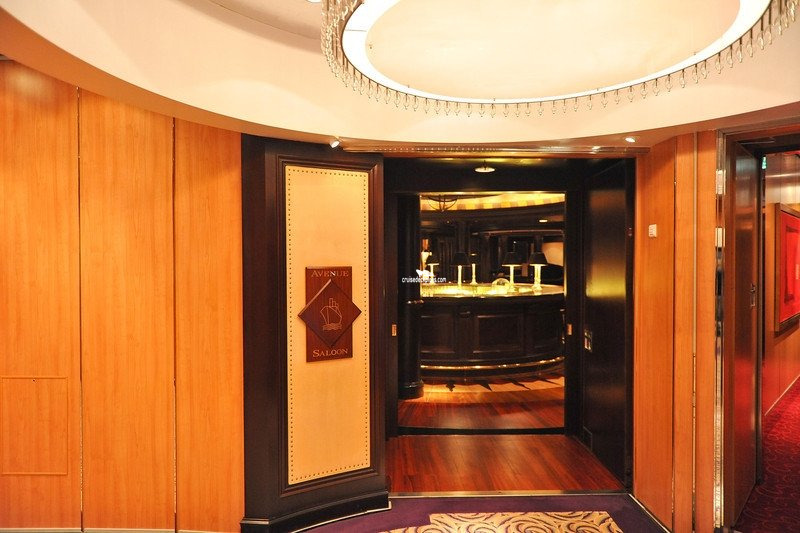 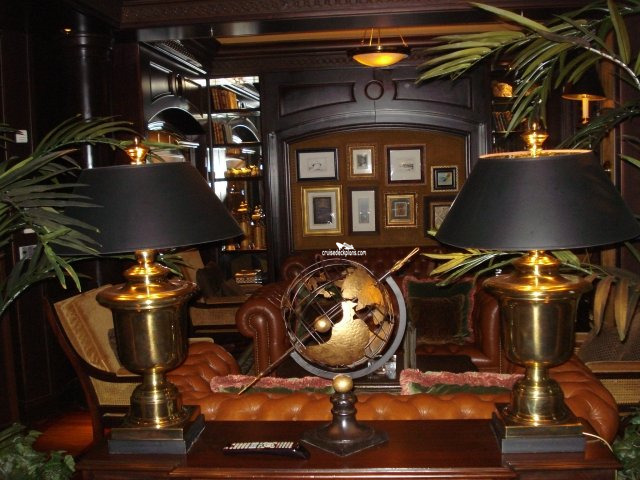 Cigar bar located on the starboard side of the ship. 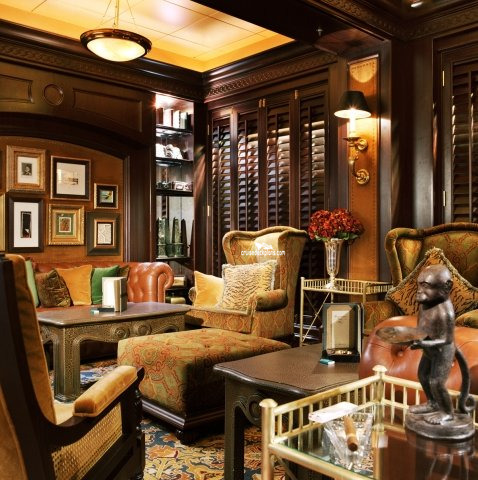 Piano bar with dark wood walls, stylish furniture and leather chairs. 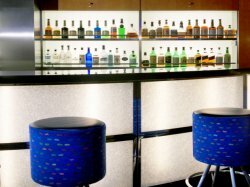 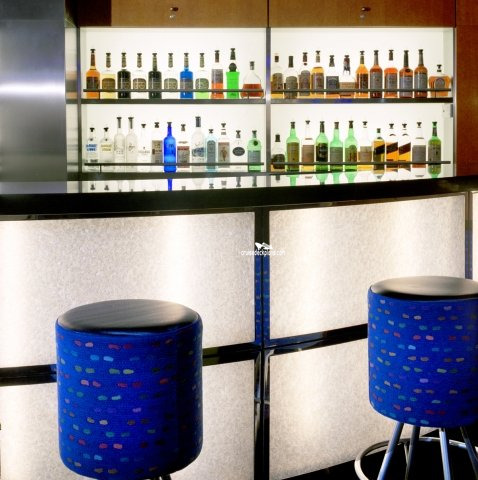 Lounge and bar with stage and dance floor. 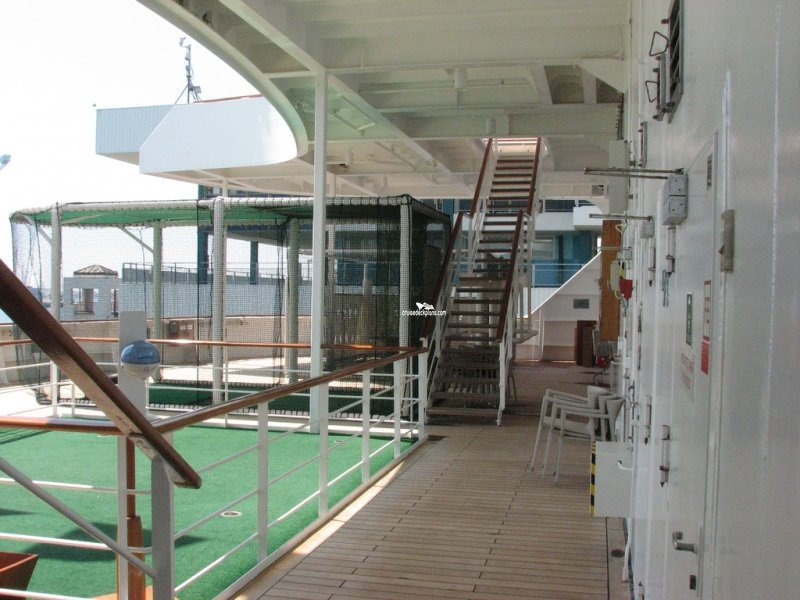 Offers Panoramic views. 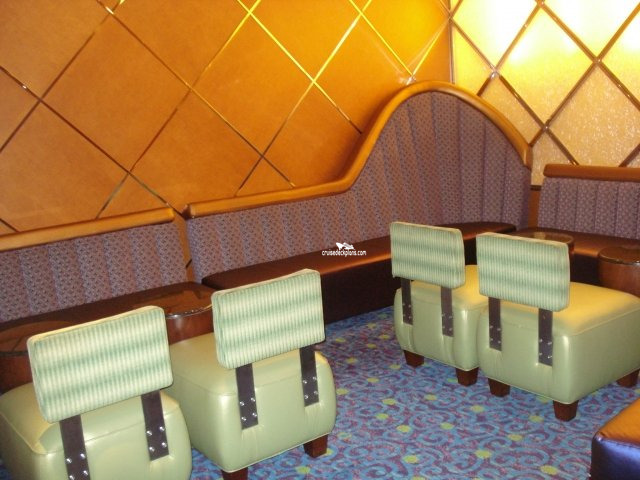 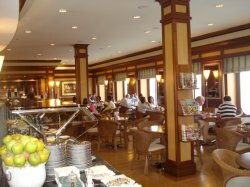 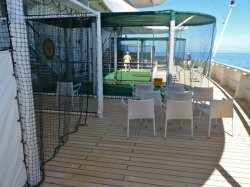 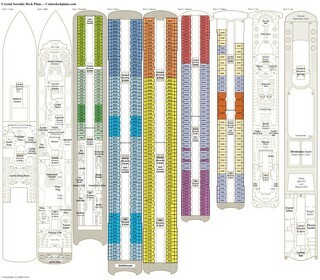 Located in aft of ship, has ping pong tables, 2 golf driving nets, putting green.